Currently, two stopping trains and one fast train travel between Groningen and Leeuwarden every hour. These trains are no longer sufficient to carry the growing number of travellers during peak hours, so an additional fast train will travel in each direction every hour. This will relieve the pressure on the stopping trains so that all passengers can travel quickly and comfortably to their destinations. The new timetable will require some changes to the track and train stations. Two underpasses will also be created, one of which will connect to Paterswoldseweg in Groningen. ProRail has been commissioned to carry out this project by the Ministry of Infrastructure and the Environment and the provinces of Groningen and Friesland. €171 million has been made available for the extra fast train between Groningen and Leeuwarden from the funds of the Regiospecifiek Pakket (a compensatory measure for the cancellation of the Southsea railway), the provinces of Groningen and Friesland, and the National Railway Crossing Improvement Programme (LVO). 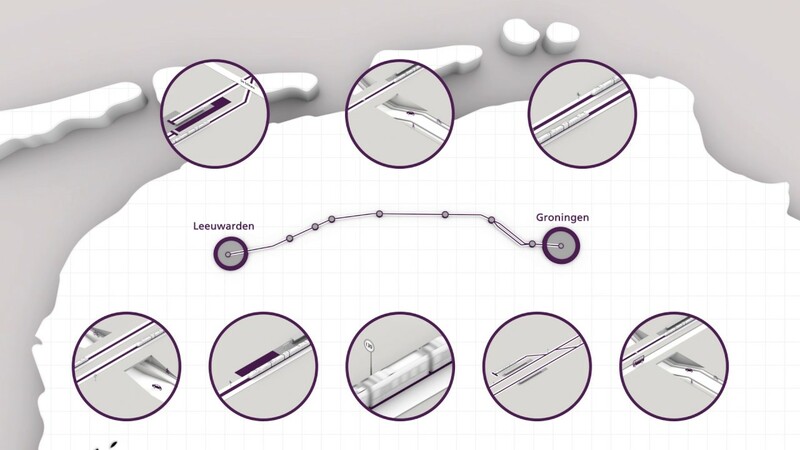 Go to https://www.prorail.nl/projecten/extra-sneltrein-groningen-leeuwarden for more information (Dutch).